Organic Teething oil is back! 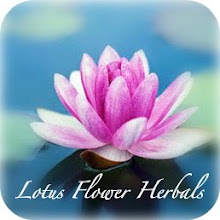 Visit Lotus Flower Herbals on Etsy. Organic Olive Oil and Vitamin E, with Clove, Myrrh, and Lemon Organic Therapeutic Grade Essential Oils. Clove oil has immune-enhancing properties, and it's principal constituent is Eugenol, which is used in the dental industry to numb the gums. It is amazing for babies and children who are teething. Always dilute clove oil for this purpose. Myrrh is widely used in oral hygiene products. It is antiseptic and helps relax and calm the emotions, making it a perfect choice for teething! Lemon has a strong, purifying, citrus scent that is revitalizing and uplifting. Lemon consists of 68 percent D-limonene, a powerful antioxidant. It has been shown to help calm the emotions of teething. Since my son has not quite started teething I had just bought it (teething oil) to be prepared. My friend has a baby who has been having quite a hard time cutting some teeth. She was at her wits end. He hadn't nursed in over a day and had kept them up all night. His gums were so red and sore. She was tired of giving him tylenol and was asking me about your oil. Since he was hurting now and not wanting her to wait to order it, I let her use my bottle. She said it worked so good. He ate and slept and the oil soothed him. NOTHING else had helped but your oil did. She plans on buying some from you for herself and family. And depending on how much of mine she uses, I may need a new bottle too! I just wanted to let you know how grateful we both are for the product! -C.T. Lesser oils contain hazardous chemicals that are toxic when applied to the body or inhaled. Read more about Therapeutic Grade Essential Oils HERE. hey-- how can I buy this teething oil? ?